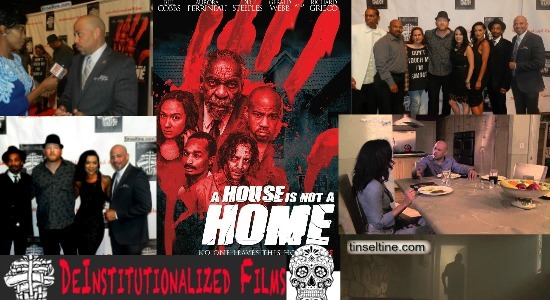 Last month I attended the premiere of a horror movie called A House is Not A Home. Regular readers know since blog contributor Candi Smith of "Candi's Corner" left T&T to pursue her own media career, I don't cover horror movies any more; the reason being, I like to be able to sleep at night. (Note: I am looking for NEW CONTRIBUTORS, so if you're interested, send me an email with a writing sample or two. It's a non-paid gig, but I let you have your own voice; you're bio can include links back to your own site or project(s) and you get to see free movies and sometimes interview celebrities!). A House is Not a Home played in select theaters in September and is now out on DVD. I didn't write a review since horror is not my genre. Here's the trailer, why don't you add it to your Halloween movie night viewing and let me know what you think.